The shoe that was banned by the NBA last fall is being released in a special colorway for All-Star week. Spotted on the feet of brand co-founder Adam Goldston last month, the controversial Concept 1 by Athletic Propulsion Labs is being released in a special 'Banned' red colorway for All-Star Week. The model gained notoriety for being banned by the NBA back in October after the league ruled that the shoe provides an unfair competitive advantage. That of course turned out to be good news for APL because it legitimized the product and they can capitalize on special release opportunities such as this one. The 'Banned' Concept 1 features a bright red synthetic and microfiber mesh upper that give off the appearance of carbon fiber. 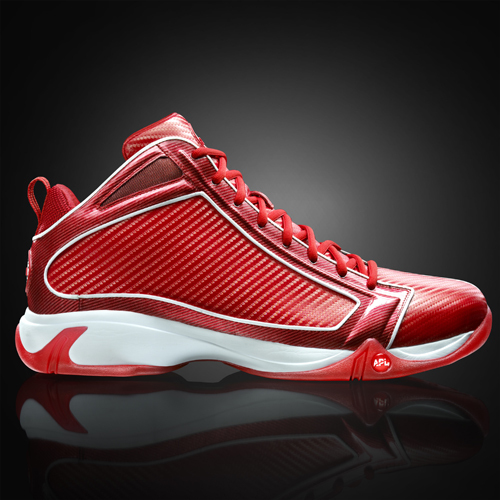 Tonal anti-microbial material lines the shoe, while reflective trim helps maintain visibility in low-light conditions. The midsole is white and includes a TPU shank for enhanced stability. Red crystal rubber takes care of the outsole, which still keeps the green Load 'N Launch technology visible through clear windows on the outsole. Making sure you know you're getting your hands on a special shoe, the insoles read 'Banned' in white. 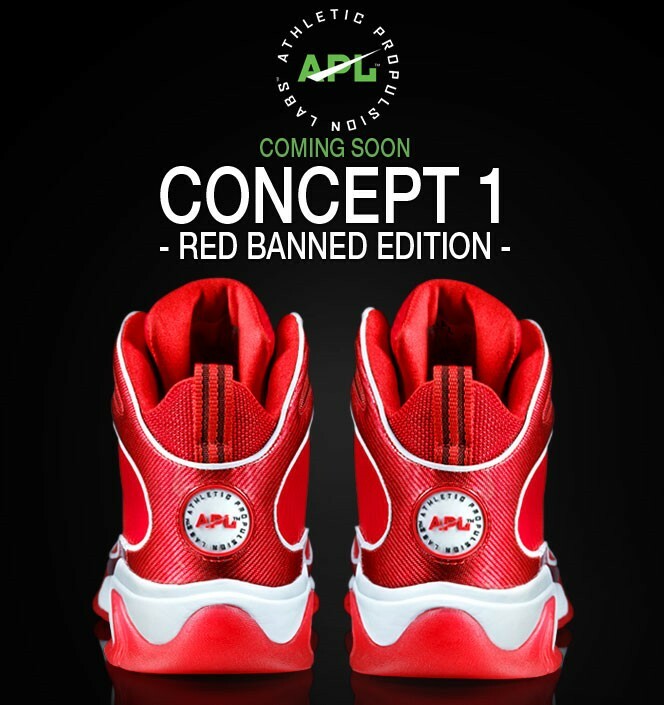 Set to release tomorrow in limited quantities, the red APL Concept 1 will come with a free 'Banned' t-shirt while supplies last. Pick up your pair over at Athletic Propulsion Labs. 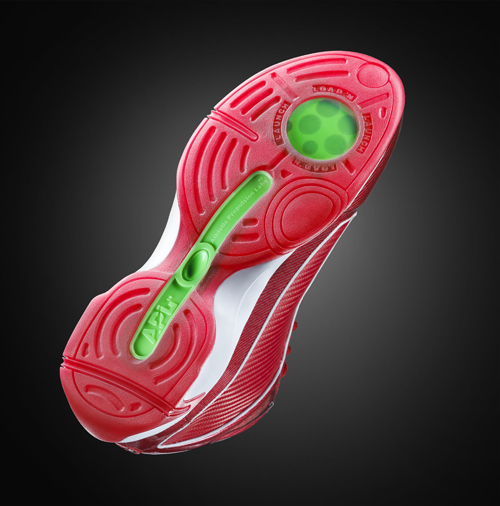 Check out the Kicksology Performance Review of the APL Concept 1 here.